Suriya, who has wrapped up S3, is now gearing up to join the sets of his next, Thaanaa Serndha Koottam with Vignesh Shivn, Keerthy Suresh, and team. The film, said to be an action thriller, is expected to be shot in places like Chennai, Madurai, Karaikudi, and Hyderabad. Suriya is most likely to have a makeover with his looks, we hear. It is said that he will be seen in a younger avatar and is also expected to lose 10 kgs for this makeover. It is indeed a shocking move from Suriya to shed his weight for the film, which is said to be a quickie, as the makers have planned to release it for summer next year. 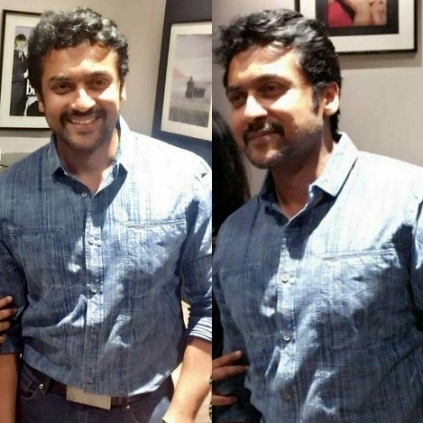 How many of you are excited to watch Suriya in this new avatar for TSK?